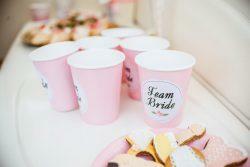 We’re going to walk you through each and every pre-wedding celebration, starting with your engagement party! Rehearsal dinner, bridal shower, bachelor party, bachelorette party – we have all the information you need to make the preparations easier! Everything you need – from presents to games – to host a most awesome party for you, your friends and family.